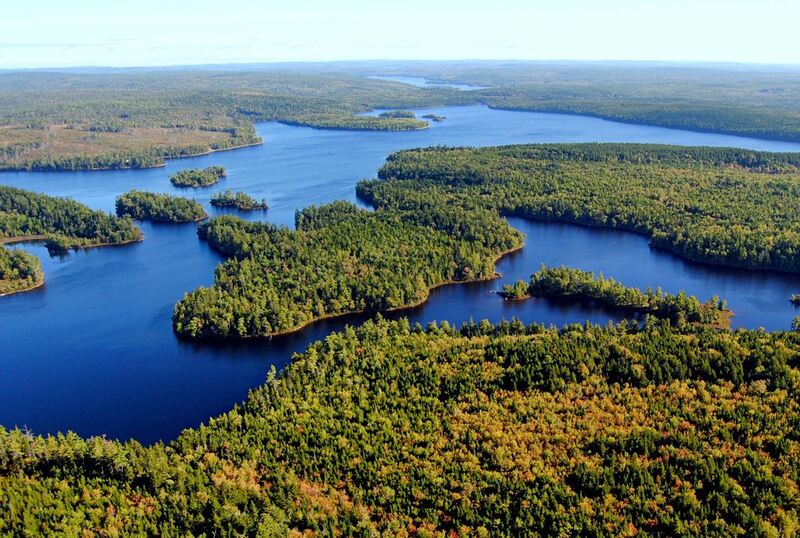 South Panuke Wilderness Area extends from Panuke Lake to Highway 103, north of Chester. This area protects a natural corridor for wildlife movement between central and western Nova Scotia. At nearly 30 km in length, Panuke Lake cuts across much of the province. Panuke Lake and developed lands north of the lake (Windsor to Ellershouse) create a barrier to terrestrial wildlife movement between central and western Nova Scotia. 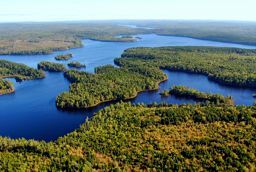 By protecting lands south of Panuke Lake, this wilderness area maintains a biodiversity “land bridge” that helps keep western Nova Scotia ecologically connected to the rest of the province. Wide ranging species, such as endangered mainland moose and pine marten, will benefit from a protected natural corridor. The terrain of this wilderness area is generally rugged with hills, ridges, and hummocks. Mature red spruce is widespread, sometimes mixed with hemlock or white pine. Black spruce occurs on poorly drained sites. Parts of the southern portion of the wilderness area were logged in recent years, while the northern portion is largely intact. As a whole, this area offers a good opportunity to restore a regionally significant and relatively large core protected area in the midst of an ecologically fragmented landscape. South Panuke Wilderness Area protects significant portions of the Canaan and East River watersheds, including lake and stream habitat for brook trout and potential Atlantic salmon recovery. It also fills a significant gap in representation of the South Mountain Rolling Plain natural landscape in the provincial protected areas network. These lands are part of a long-established Mi’kmaq travel route between the Bay of Fundy and Atlantic coast. The area continues to be used for hunting and fishing today. Visitors can still follow traditional canoe routes and old portages, and overnight at secluded beach campsites. Much of the area is accessible from major forestry roads, as well as the Chester Connection Rails-to-Trails. The wilderness area does not affect vehicle access to boat launches at the southern ends of Timber, Panuke and Connaught lakes. These lakes are not part of the wilderness area, so activities are also not regulated by the Wilderness Areas Protection Act. A Nova Scotia Power Inc. power line just north of Highway 103 is not included within the boundary. In response to additional public consultation for this site in March of 2015, NSE intends to enter into a trail management agreement with the All-terrain Vehicle Association of Nova Scotia (ATVANS) to accommodate all-terrain vehicle use on a 7 km route that follows former forestry roads between Canaan and Timber Lake. If needed, vehicle access to an in-held private property at Timber Lake can be authorized by the Minister of Environment. The province also intends to offer vehicle access licenses to the owners of two adjacent private properties located at Houghton Lake. One Crown campsite lease within the wilderness area will be honoured. Through the survey process, small boundary changes were made to align with updated Crown land ownership and improve survey efficiency and area management. Crown lands immediately adjoining Highway 103 are not included to avoid potential impacts on future twinning of this highway.